In a competitive home market where there are multiple offer situations, it can be difficult to get a home inspection accepted on an offer. If we don’t have any competition, it is more likely that we can include a home inspection in the offer. To be prepared when buying your first home in a competitive market, it is important to have money set aside for this necessary expense. Another non-negotiable part of buying a home is home owners insurance. The cost of home insurance ranges depending on the price of your home as well as other factors that could include: where you live, proximity to a river or other body of water, rebuild cost etc. You can expect to pay around $500.00+ for home insurance. A mortgage appraisal happens when a company needs to send out an appraisal to ensure the value of the property is what you paid for it. Typically, this process is covered with an A Lender (banks, credit unions and other traditional lenders that cater to clients with good credit scores and reliable income). If you have more complex financing, and are working with a B Lender (some banks cater to clients with a lower barrier of entry to qualify BUT will often offset this with higher interest rates), you may have to offset this cost yourself. This can typically cost around $200.00-$250.00. YOU DO NOT PAY HST ON A RESALE HOME! HST is paid by the first person to buy the property. Now, if you buy a new build, there is a chance you will have to pay some HST. On the plus side, there are rebates for First-Time Home Buyers. Want to know if you quality for First-Time Home Buyer Rebates? Call us at 1-888-505-FLUX or send us a message! Real Estate is a legal transaction so legal fees will incur over the process. We can recommend you a lawyer OR you can use your own. The typical cost of a lawyer when buying your first home is $1200.00. This cost covers a few aspects: disbursements, transferring the title, registering the home with the land registry office, and title insurance. Your lawyer will also have the keys for you on moving day! As a first-time home buyer, you have a great advantage when it comes to LTT. You are exempt from paying LTT up to $367,000.00 of purchase price! Closing adjustments insure that both sides of the ledger are $0 when completing a real estate transaction. Essentially this means that both parties in a real estate transaction are covering their costs before you take possession of the property. An example of closing adjustments would be: the seller prepaying property taxes. You, as the home buyer, will owe the seller the cost paid in property taxes for the time you take position over the property. Not sure how much money to set aside for unexpected costs when purchasing a home? Our advice is to set aside 1.5% of the purchase price for unexpected costs! Want to learn more about unexpected costs when buying a house? Check out the video below! Do you have questions about buying, selling or investing in real estate in Southern Ontario? Do you want to know if you qualify for an A lender or B lender? 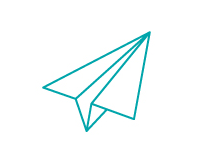 Are you looking for a referral to a great mortgage or insurance broker? 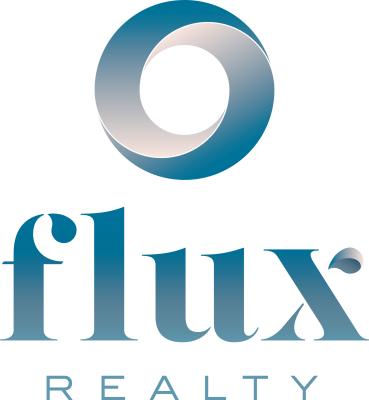 Flux Realty provides real estate services to Kitchener - Waterloo - Cambridge - Guelph and surrounding areas in Southern Ontario, Canada.